Ahoy there me hearties! This old bucko also thought of getting married ‘afore, but the call of the sea and the excitement of booty hunting became was stronger so here I am, sailing with the crew and me favorite parrot pet! Har, har, har! Me found this app that reminded of me the old times when this buccaneer considered tying the knot. 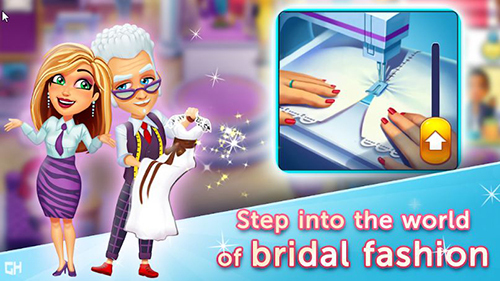 Let me share with ye lads and lasses more about this app called Fabulous – Angela’s Wedding Disaster by GameHouse. This game can be downloaded for free, although it comes with in-app purchases. It’s a time management app that is similar to other games on the same genre like the popular Diner Dash game. The latter may be a restaurant time management game, but the overall gameplay is the same. The main goal is to serve the needs of the customers as soon as possible in order to gain more money and tips. It’s more just about clicking on the options so even if you are not familiar with the game genre; it will not be difficult to learn how to play it. This game is an eye-candy! It has amazing graphics. Everything looks great from the characters to the different items on the shop. There are different settings or locations in the game, which means that the story doesn’t just revolve around the shop. Other locations include the beach, café, and the house of the main character, who is Angela. This contributes largely to the game because it makes the app more entertaining. It has advertisements, but they are not too intrusive so they are not deal breakers, considering the game is free. There are 60 levels in the game, but you can complete all levels easily especially if you spend a lot of time playing. The good news is that there are also mini games that you can plat in between the levels, which give more playing time, as well as more game variety. Furthermore, there are also endless levels that you can play as much as you want. This game is free to download. It is easy to play, especially to those who have played time management games before. This app is also an eye-candy. There are different locations in the game that has gorgeous and colourful backgrounds, adding to the excitement and fun of the game. There are also mini games and endless level games. It comes with advertisements, although it is not that much of a deal breaker since they are not intrusive. There are only 60 levels, which you can easily complete, especially if you play a lot. 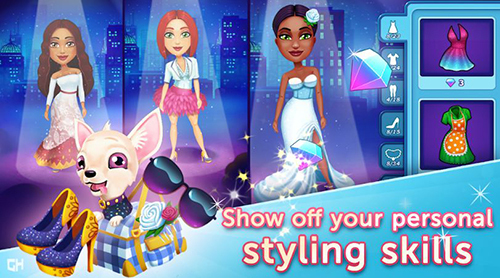 Fabulous – Angela’s Wedding Disaster is an entertaining and fun time management game that is free to download and play. The drawbacks are only minimal and are outweighed by its positive sides. It’s easy to learn and it also has excellent graphics so it’s highly recommended for download.